The PRP facelift is a non-surgical, no downtime form of facial rejuvenation. At Serrão Rejuvenation Center, Dr. John Serrão, a board certified gynecologist who specializes in anti-aging medicine and non-surgical rejuvenation of the face and neck, offers the PRP facelift for women in Orlando, Winter Park, and the surrounding areas of Florida. The PRP facelift uses the patient’s own natural blood cells to lift and restore the healthy glow to the skin of the face. There are women who cannot afford to take time off from work to recuperate from an aggressive surgical procedure like a face-lift or laser resurfacing. While women may like their facial features, many would like to improve dullness, lack of color, sagging, and wrinkles that appear on our faces as we age. Dr. Serrão offers the PRP facelift to improve the skin of the face without invasive surgery. The goal of the PRP facelift is to make the skin appear younger with more volume, better color, and a healthy glow. Although some may have a subtle change, the results can be impressive leaving you with a more youthful complexion and a radiant, healthy glow! Good candidates for this procedure are women who are not looking for the dramatic results of a facelift or would never consider any other injectable fillers. Women who are looking to give their face a more youthful and natural appearance are ideal candidates for the PRP facelift. What Makes The PRP Facelift Unique? The combination of products is what sets this technique apart from its facelift and injectable filler counterparts. The entire procedure takes about 30 to 45 minutes and starts with blood being drawn from the patient. The blood is taken the same way it would be for a normal blood test. Once blood has been collected, it is then centrifuged and the platelets are separated from the red blood cells. The platelets are then introduced to a calcium chloride solution that causes the platelets to release growth factors creating the platelet-rich plasma (PRP). Once all of the ingredients have been combined, a small gauge needle is used to inject the product into specific areas of the face that has been numbed with a topical gel. Small amounts of hyaluronic injectable fillers, such as Restylane® or Juvéderm® , may be added to the face as well if more volume and lift are needed and requested by the patient. The PRP eye lift allows the PRP to be injected into the tear trough area, the area under the eye that commonly shows the signs of aging. It can help restore volume, reduce hollowness, improve dark circles and minimize fine lines. The PRP facelift and the PRP eye lift procedures are very tolerable with minimal discomfort and little downtime. We believe the best part of this procedure is that it’s getting back to what beauty is all about. The PRP facelift works at the stem cell level, generating new tissue. The procedure can restore volume, color, and a healthy glow to your skin. The PRP eye lift can reduce hollowness, finer lines, and dark circles of the eye area. Like its hyaluronic acid relatives, the PRP facelift injections will last about nine to 18 months, depending on individual patients. We recommend the use of medical grade skin care products and regular facials to maintain the results and enhance your natural beauty. Maintenance injections will be needed to maintain the results of the PRP face and eye lift once you begin to notice that the results are fading and you want to restore the healthy glow again. A topical numbing gel is applied to the face. Blood is removed from a vein in the patient’s arm. The blood is processed to isolate the platelets from other blood components. The platelets are then activated to form the PRFM (a rejuvenating elixir made by the person’s platelets). This gel is then injected back into multiple areas of the face in the specific areas that define the PRP facelift to induce growth of new collagen, skin tissue, and blood vessels around each injection site. 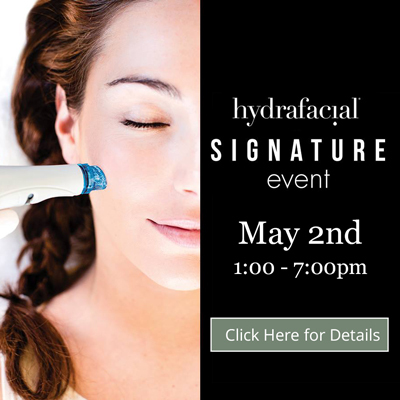 Collectively, this activity lifts the skin away from the bone, creates skin volume and new blood flow, thereby sculpting the face and creating a younger complexion for a more youthful and more aesthetically appealing appearance. This improvement continues for approximately 12 weeks and lasts at least nine months to over a year. Healthy “glow” and “rosy cheeks” are restored. This is due to the increased blood flow and is usually noted at about three weeks with continued improvement for 12 weeks. 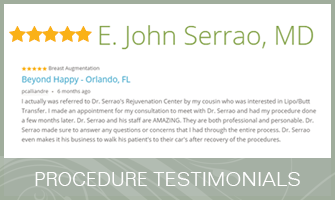 Dr. John Serrão is the first physician in Orlando, Central Florida to be trained in the PRP face and eye lift techniques, and he can provide you with the PRP lift that you desire. He is an expert injector who understands the art of facial rejuvenation with PRP and dermal fillers. He takes pride in creating natural-looking filler results with a look of subtle perfection. Dr. Serrão possesses good judgment and is conservative in his approach of facial rejuvenation. Your PRP lift will be performed by Dr. Serrão and will not be performed by his assistant. Women from around the world seek his skill and artistry for facial rejuvenation procedures. The PRP facelift is an advanced anti-aging treatment. At Serrão Rejuvenation Center, Dr. John Serrão, a board certified gynecologist who specializes in anti-aging medicine and non-surgical rejuvenation of the face and neck, offers the PRP facelift for women in Orlando, Winter Park, and the surrounding areas of Florida. Contact us to schedule a consultation and begin your rejuvenation today. Is PRP Facelift Better than Traditional Facelift Surgery? PRP facelift could be a good option for you if you were considering traditional facelift surgery. Being a non-invasive cosmetic procedure, PRP facelift makes use of the patient’s own blood mixed with a product to promote collagen growth underneath the skin and make a patient’s face less saggy and reduces wrinkles. On the other hand, traditional facelift surgery may be necessary for some patients who have the need for more extensive correction. Traditional facelift surgery not only exposes patients to many after surgery complications but also causes a lot of inconvenience due to the long healing time (usually six to 10 weeks). The great thing about the PRP facelift is that the procedure only involves injections to the desired areas of the patient’s face and requires virtually no healing time and also reduces the risk of possible side effects. If you are considering a traditional facelift surgery, you should consider a PRP facelift or a InstaLift Thread Lift consultation. Can I go to Work Immediately After PRP Facelift? PRP facelift is a non-invasive cosmetic procedure which involves injections only and leaves no scars on a patient’s face. Moreover, the whole PRP facelift procedure usually takes less than an hour and patients can go home or go to work immediately after the procedure. However, most patients will return to work the following day because they may experience some slight edema and redness with the possibility of minimal bruising. The patients will usually feel the immediate effects of PRP facelift after it’s done, and during the next few weeks, the collagen will start to grow and generate more and more healthy cells underneath the skin. That is when the patients will experience the optimum results of the PRP facelift. A PRP facelift procedure involves injecting the patient’s own blood mixed with a product back into the patient’s own body, hence the possibility of having side effects and allergic reactions after the procedure is greatly reduced. The main goal for the PRP facelift is to promote collagen growth underneath the patient’s skin, meaning it is a more active approach towards facial rejuvenation and is often combined with other cosmetic procedures for an optimal outcome. Who is a Candidate for PRP Facelift? Well, generally speaking, anyone can have the PRP facelift as it is a non-invasive cosmetic procedure. The PRP facelift is one of the latest non-invasive facelift cosmetic procedures for reducing wrinkles by injecting a mixture of the patient’s own blood and a hyaluronic filler to stimulate the collagen growth back into their own skin. The use of the patient’s own blood can promote collagen growth and also reduce the chances of possible side effects. The concept of non-invasive cosmetic procedures by only injections makes PRP facelift ideal for a more mature patient, as incisions made by traditional facelift surgery usually take much longer to heal for them and there are at greater risk for post-operative complications. With that being said, the PRP facelift, being a non-invasive facelift cosmetic procedure, does have its limitations. For example, one cannot expect to have a 70-year-old face turned into a 20–year-old face just by doing the PRP facelift injections. Also, a periodic maintenance injection is recommended every nine to 12 months in order to maintain optimal results. Traditional facelift surgery is recommended for certain patients, but more and more people are starting to choose non-surgical options for facial rejuvenation. If you are a good candidate, then you should consider a PRP facelift. Is the PRP Facelift Safe? The procedure is a very safe and effective way to lift up the skin and smooth out the wrinkles without significant side effects. The PRP lift process usually last lasts about an hour and there are no visible scars on the patient faces as PRP facelift is done by injection only. PRP facelift involves taking the patient’s blood and separating the platelets from the cells. The blood will then be injected back to the patients face to stimulate new collagen reproduction. Since the primary content used for the PRP facelift process is the patient’s own blood, it will generally cause very little allergic reactions to the patient. Each PRP facelift injection is usually going to last for about nine to 18 months and on average a patient will have to go for a “touch-up” PRP facelift injection every nine to 12 months for optimal results. Generally, the PRP facelift is a very effective and safe method of making yourself look younger. What Are the Side Effects of PRP Facelift? The good thing about PRP facelift is that it avoids one of the major side effects of facial fillers, which is allergic reactions to animal or synthetic components. As mentioned above, due to the fact that the mixture of the compound is mostly from the patient’s blood samples, it reduces the probability of such allergy related side effects. In fact, this benefit is one of the main reasons that patients choose the PRP facelift and that it is so popular right now. How Does PRP Facelift Work? PRP facelift is an in-office procedure in which blood is drawn from the patient’s arm and then platelets are separated from the blood. Then, the blood is again injected in the areas of the face that need to be treated. This stimulates new collagen production. PRP facelift came into the market in 2010 and since then, it has become very famous mainly because it is a cosmetic treatment without the need for surgery. People usually do not suffer from any type of allergic reaction after the PRP facelift. It is very natural and safe because it uses the blood of the patient. The PRP facelift does not cause any irregularities or bumps in the skin. Most patients are happy with the subtle results that improve the overall complexion of the skin. The results are very natural and the skin really does have a much healthier appearance after the PRP Facelift. Dr. Serrão may recommend the combination of other facial rejuvenation treatments for optimal results. What is the Cost of a PRP Lift? In general, the average cost of PRP facelift is around $1,000 to $1,500, depending on a number of factors. One important factor is the amount of work that needs to be conducted by the doctor. If you want to treat your entire facial area, the cost will be higher than patients who might only want injections in certain parts of their face, such as the eye bags or the cheek area. Finally, the experience of the doctor also plays a part in determining how much the cost of the PRP facelift will be. In general, the more experienced the doctor, the higher the cost of the treatment. Who is a Good Candidate for PRP treatments? Platelet-rich plasma (PRP) treatments are ideal for individuals who are looking for a gradual improvement in their skin’s appearance and seek noticeable, natural-looking results. It is appropriate for individuals with mild to moderate signs of aging. Candidates should also be in good overall health and have realistic expectations for the procedure.